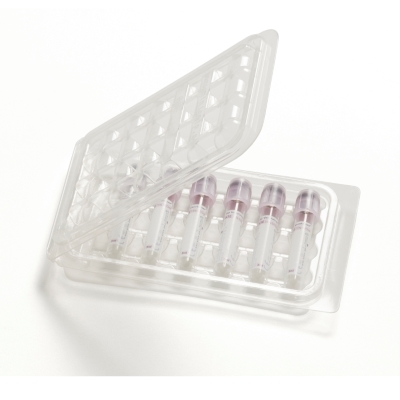 Transport Blisters are developed for sending of medical and biological substances and are made of strong polypropylene. The measurements of Transport Blisters are carefully chosen so they fit perfectly in a PolyMed. The most of the Transport Blister scan be used as letter post combined with outer additional packaging, which gives you a important discount on transport costs. You can use them together with an absorbing sheet and the SafetyBags.